As you may know, there are three types of shungite stones depending on the amount of carbon in them. Thanks to unique spherical structures carbon’s atoms create shungite is widely applied to filter the water. Both elite (type I) and regular (type II and III) shungite is perfect to make crystal clear shungite water. But elite shungite water is believed to be more useful and efficient. Why? Read this article to learn more about elite shungite water and how to make it. Elite shungite water is water infused with elite shungite nuggets of different fraction sizes. Elite or noble shungite stones are known for their shiny silvery surface and high percentage of carbon. They contain up to 98% of organic carbon that determines highly powerful filtrating and curative properties they have. Elite shungite water stones absorb more than 95% of water polluting elements, mineralize it and endue with a number of therapeutic effects. Due to higher percentage of fullerene carbon and raw non-polished surface absorbing more polluting elements elite shungite stones are considered to be more efficient than regular (type I or II) shungite. Elite shungite water stones do not just purify the water. They make it energized filling with healing energy that will help you to keep yourself healthy and balanced. Unlike regular shungite water, the elite one is not just crystal water. After filtration with noble shungite nuggets it gets its own powerful energetic field letting you to keep body and soul in harmony. 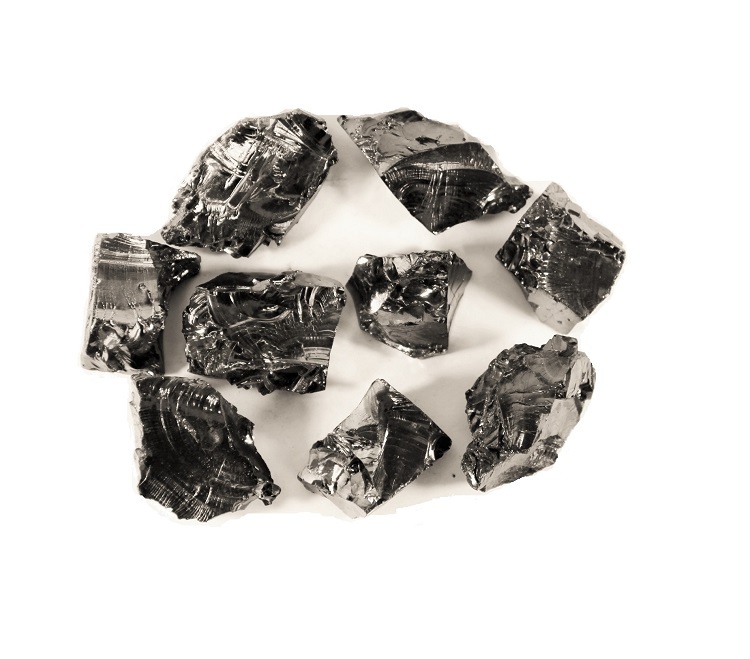 To make one liter of elite shungite water you need to infuse 50-70 grams (0,10-0,15 pounds) of elite shungite nuggets in tap or initially filtrated water. 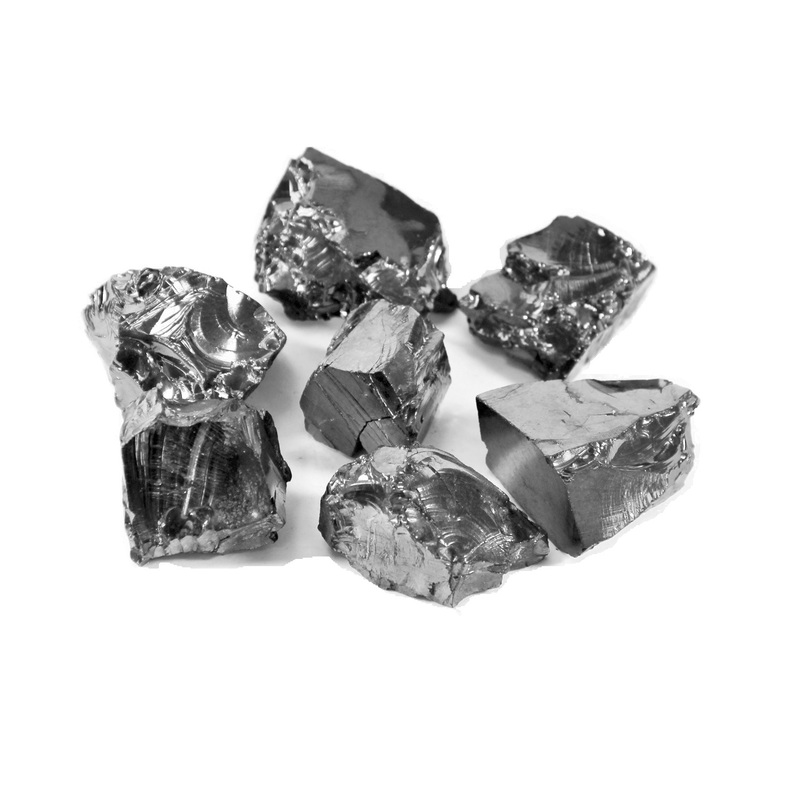 Although filtration starts within a couple of hours, Karelian Heritage experts recommend to wait for several days and then drink crystal elite shungite water or apply it for external usage. Another distinguishing feature of elite shungite water stones is that the deposits of elite shungite are extremely scarce. Noble shungite accounts for less than one per cent of shungite stones digged in the Republic of Karelia. Besides, due to high percentage of fullerene carbon elite shungite nuggets are very fragile. They are known as glassy carbon. These factors make even small elite stones highly valuable. Therefore they are more expensive than regular shungite, but it’s absolutely worth the cost. Taking into account the price, it is extremely important to ensure that you spend your money on authentic elite shungite stones that will let you experience all the positive impact of elite shungite water. The main advice is to buy noble shungite stones from a reliable shungite supplier with high level of expertise. It’s better to find a seller directly in Russia to avoid repurchasing and different fraudulent schemes. Moreover, we recommend you to check the authenticity of elite shungite water stones when you receive them even if you trust the seller. For this purpose you may conduct a small experiment with a battery, a bulb and two wires. You will need to create an electric streamline from the battery to the bulb and place elite shungite stone in it. If elite shungite nugget is authentic, the bulb lightens due to the electrical conductivity of shungite caused by the high amount of carbon. Thus, if you are a sophisticated customer eager to experience shungite properties to the full extent, elite shungite water is an ideal option for you. Take a look at our elite shungite water stones sets to find the one to meet your demands.